Do I Have To Seal Stained Concrete? We typically recommend sealing and waxing floors on any kind, but it is especially important for interior staining or any exterior areas that are high traffic. Sealing and waxing floors greatly enhances the colors, look and luster. While protecting the floor from damage and making cleaning and maintenance of the floors substantially easier and less expensive. Sealing concrete removes the porous quality of the concrete and coats it, protecting it from spill stains and damage caused by erosion, weathering, heavy traffic and use.. The advantage to adding wax on top of the sealant is that it acts as the sacrificial coat and makes the process of upkeep much simpler: when the wax gets worn down or scratched, simply apply a new coat of wax and you are back in business. 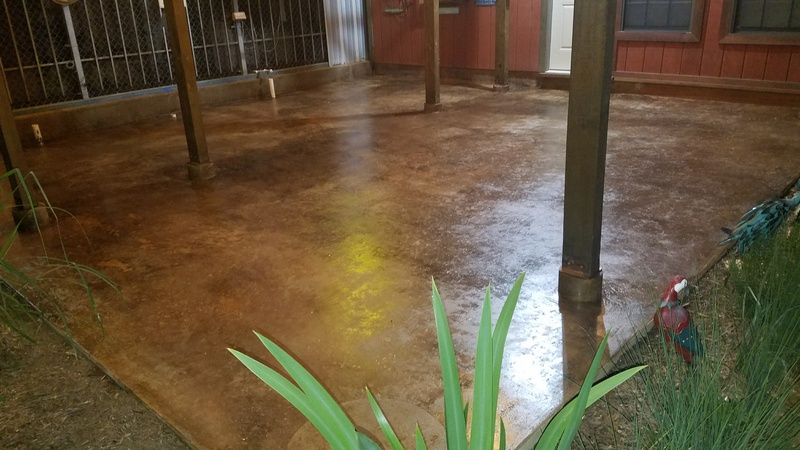 So while you don’t have to seal concrete, if you do, you will be enhancing and protecting the look of the concrete while extending it’s lifespan considerably. Will Sealing Concrete Change Its Appearance? In short, yes, sealing concrete will change the appearance of your concrete. Leaving concrete unsealed will leave it with a flat look. The color will remain flatter and dull, in addition to the concrete remaining porous and easier to damage. Sealing the concrete will enhance the colors and give it more of a marble or mottled look, smoother and with richer colors. If you are after a less shiny or more muted tone, you can apply a matte wax on top of the sealer to get a flatter look.Another thing to point out is the cosmetic difference between water base and solvent base sealers. Solvent base sealers tend to over darken concrete stain, looking as it does when saturated wet with water. Water base sealers such as Clear Shield, makes the concrete look as it does when damp with water, not saturated wet but not dry either. Rather, in between, damp. Which brings out the marbling,, mottling and subtle color variances more, while maintaining a more natural look. Will Sealing Concrete Make It Slippery? A common question that we also get is “Will sealing stained concrete make it more slippery”? We consider this to be kind of a trick question. Anytime you are applying any kind of concrete sealer, it will usually be more slippery than unsealed concrete, especially when wet. But there are a few factors at play here. Solvent based sealers are definitely more slippery than unsealed concrete, but water based sealer is less slippery (if applied properly) than a solvent based sealer. This is one of the reasons that we suggest water based sealer over solvent based. Our water based sealer is meant to be applied in two thin layers on well brushed concrete. If applied properly, it should not make the sealed concrete much more slippery than the unsealed version. We also sell a traction additive that you can apply to the sealer to help with this issue if it arises. Also, when applying the wax over the sealer, it helps alot because the wax is less slippery than the sealer. 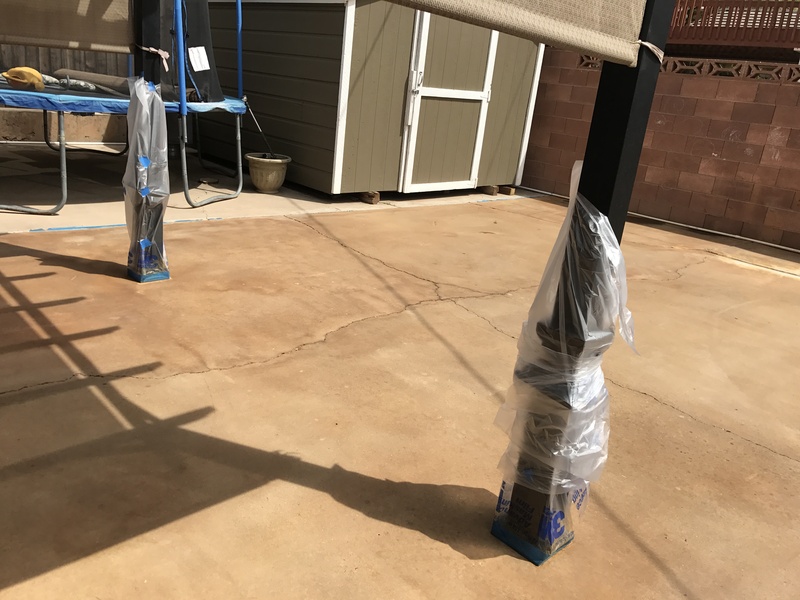 If you’re concerned with how slippery it will be, then as always, we suggest that you apply the sealer to a small test area, , to test out both the appearance of the sealed concrete and see how slippery it is, before doing the entire area. So, there really isn’t a benefit to not sealing your concrete unless for some reason you want it to have a duller color. We would still advise sealing the concrete, but applying a matte wax instead of a glossy one to get the appearance that you desire. The benefits (especially for floors and exterior concrete) in terms of protection and maintenance really can’t be overstated. Sealing anything exposed to the weather is incredibly important and if you are looking for a beautiful piece of concrete art that lasts, sealing and waxing is the way to go.